I love a bold lip. I really, really do. It’s like instant dress up! So it made sense for me to rock one when I attended the People’s Choice Awards red carpet and show recently. 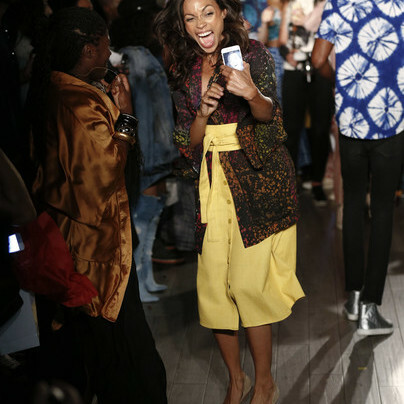 And I was in good company, as many of the starlets also sported bold lip colors with their looks. There were gorgeous fuchsias, crimsons, vampy reds and corals everywhere! And so to go with my 1960′s inspired ensemble and since I was wearing rose gold colored sequins, I opted for a playful, popping shade of pink. 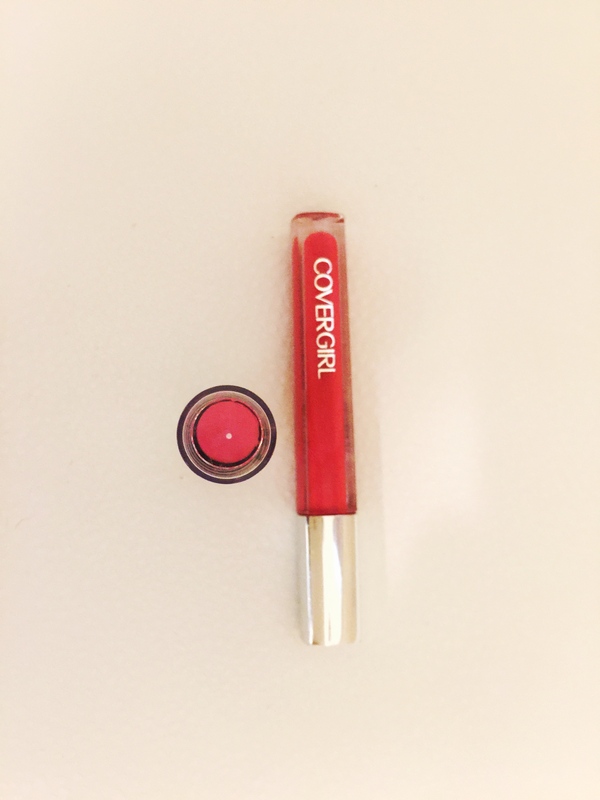 Specifically, COVERGIRL Outlast 900 lip color followed by COVERGIRL Colorlicious 640 Juicy Fruit lip gloss. What I love about this combo is that, like the name says, it lasted all throughout the red carpet as I talked and took pictures. I only reapplied once in between the red carpet and she start of the show. And my lips looked fresh all night long. Also, I feel like my lips had the perfect amount of gloss. After all, I had to amp it up a bit since I was wearing all sequins! And here are a few tips that I want to share with you for achieving the perfect bold lip. Before I apply any sort of lip color, I exfoliate my lips first by gently going over them with my toothbrush while I brush my teeth. After all, it is important to lose the dry, chapped skin so the lip color goes on evenly and smoothly. If I am going to wear lip liner, I line slightly outside the edge of my lip. Not by a lot, just a centimeter or so. This gives the illusion of a bigger lip without any invasive procedure. And who doesn’t want big, gorgeous lips? I do! Tip: Choose a lip liner shade lighter than your lip color so you don’t have a dark line around your mouth. For my PCAS look, we used COVERGIRL Colorlicious Lip Perfection lip liner in Beloved, available at Walgeens. If I am using a liner, I color in my whole lip so that the shade is even, and the lip color has better staying power. Pretty self-explanatory. This just creates multiple layers, so longer lasting. After lip color, I go to town with my gloss. What’s that saying…you can take the girl out of Texas, but you can’t take the Texas out of the girl. Yep, pretty much applies to this Dallas native. After gloss, I place a pop of gold (COVERGIRL Queen Collection lip gloss in antique gold) in the center of my bottom lip to create definition and to catch the light. Bonus-this trick looks great in pictures! All you have to do is like the Red Carpet Roxy Facebook page, follow RCR on Twitter and Instagram, and comment with your social media handle and favorite lip color below. The winner will be chosen on Wednesday, January 27th. So don’t wait. Enter now! Good luck! My Favorite Lipstick Color Is : Pink. My favorite lip color is the pink/mauve color!!! My favorite lip color is a natural pink. I follow on FB, Twitter (prettyhotpink6) and Instagram (prettyinhotpink6). I love bright red. Following on FB, Twitter and IG. My favorite lip color is red. Thank you so much for offering such a fun and generous giveaway.